The pattern is etched into the fabric and the flowers are risen above the background. No holes, no imperfections. Just a perfect piece. Beautiful rich color! 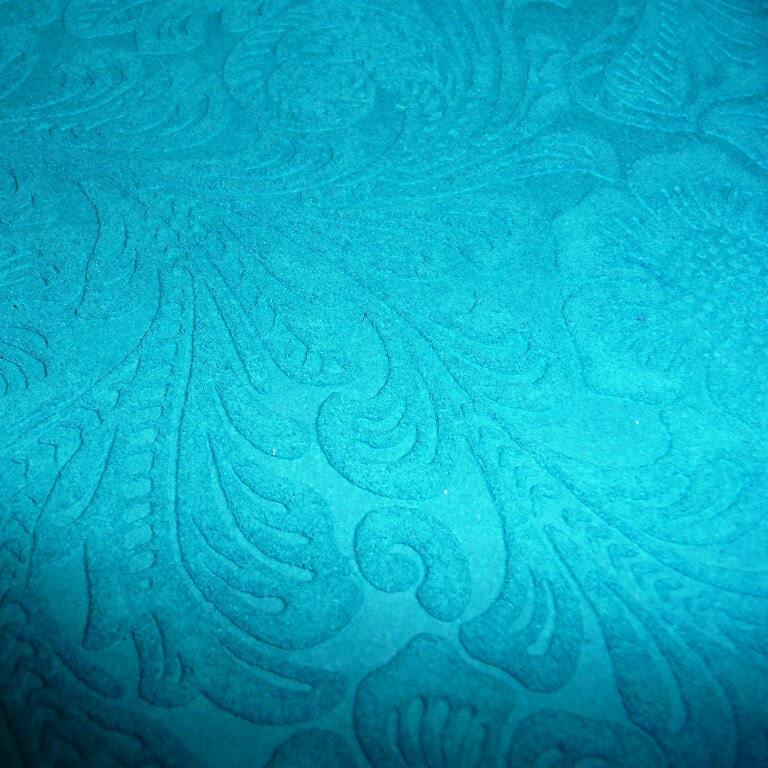 The backside is a Turquoise suede that may not be pretty. Some pieces might have a stamp or fleshings other marks on them. 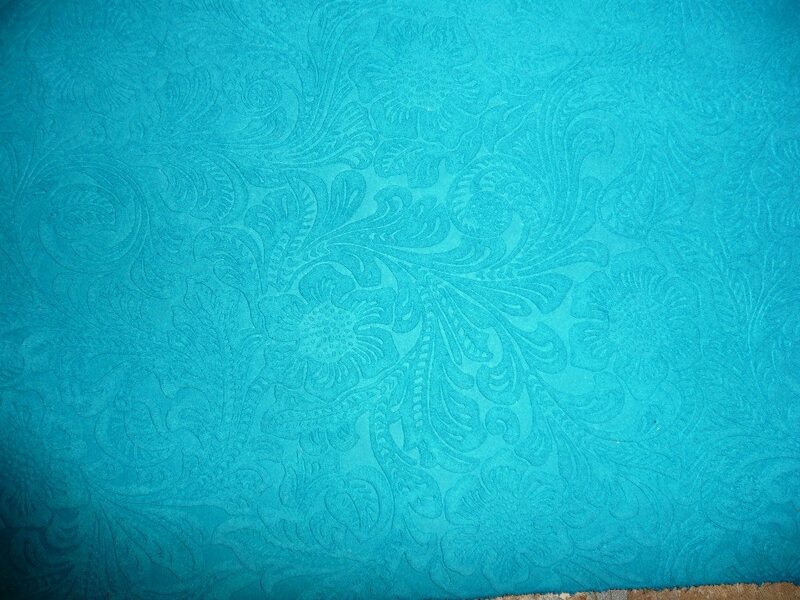 Stunning color and pattern, wonderful service and fast shipping! Love this suede. Beautiful product. FAst shipping.